ZenMate VPN is currently celebrating their 45 million user milestone with an extra 45% off on your subscription using their promo code ZM45MILLION all month. 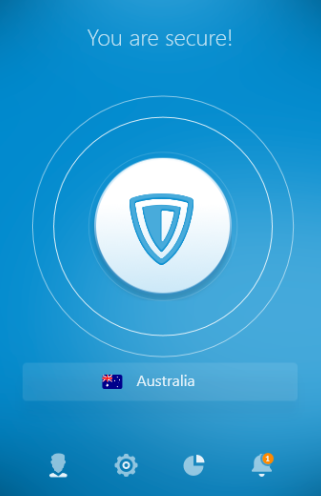 This VPN boasts no claims of being the best. Instead, they seem to take pride in the growth of their user base. Their website also mentions they’ve been featured on publications like Chip, Forbes, Mashable, and so on. With such big names behind them, there has to be something to their success. In this review, we’ll find out what that is. Our preliminary research resulted in drastic variations in the reviews this VPN has received. Some reviewers claim its speeds are unimpressive. Others praise the VPN for the amount of server options for its price. What’s the truth? Time to find out. 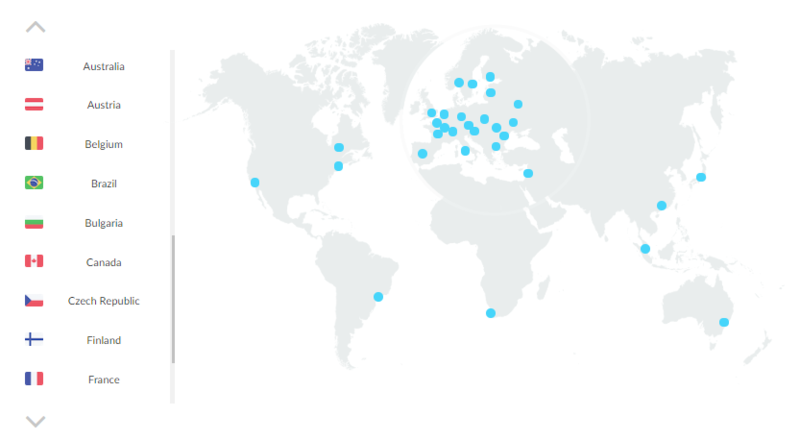 ZenMate offers its users a hefty server list, with over 2,000 servers located in 31 different countries! This VPN offers great freedoms to their 45 million users when it comes to server choice. Users have plenty of countries to choose from! We read that this VPN worked with Netflix, and it does… kind of. Only certain servers work; the first one we tried? It didn’t. But then we discovered that in ZenMate’s server options, USA and USA (West) are separated. You may freely choose either of the two. When we connected to USA (West), we discovered the freedom of Netflix! Huzzah! So yes, Netflix is possible; you just may end up searching around for the right server. Avoid this kind of uncertainty by going with the best VPNs for Netflix. ZenMate does offer a kill switch that ensures that you’re safe should your connection go awry. In the event that you’ve decided there’s no use for internet privacy, you may sever your ties with ZenMate and take advantage of their 100%, 14-day money-back guarantee! ZenMate also ensures their patrons’ security, with a 100% secure checkout process. Users may pay through the ol’ reliable Paypal and other card services. There’s plenty of options… right up until you decide you want to pay with Crypto; because no, they don’t offer that option. ZenMate is widely compatible with devices. It can be used on Windows, Mac, Linux, Android, iOS, and so on. However, ZenMate doesn’t work on smart TVs or routers – a shame. It’d have been nice to see additional options, considering the higher price ZenMate charge. Especially since there are other VPNs that offer router support at competitive price points. Users are free to connect 5 devices at the same time to their accounts. If users find this lacking, ZenMate offers extension packs for your devices. There are three options, namely: Regular which lets you connect 2 additional devices for an extra $0.50, Elite with 5 for $1.00, and Family with 10 for $1.70. ZenMate has a simple, user-friendly process. For a free trial, you simply go to their website and click on “Free Trial”. Upon clicking the button, a download should start. Once the download is done, a window will appear with a language option and a short introduction. You only need to sign up using your email address and password. For obvious reasons, we recommend using a dummy email. 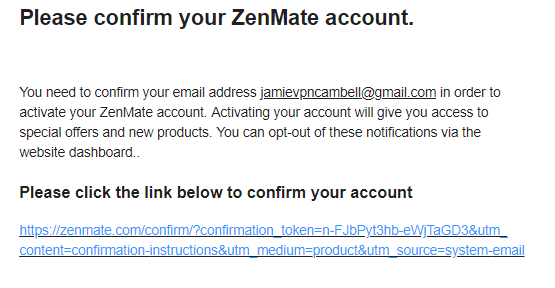 ZenMate will send you a confirmation email shortly after. You’ll find a link in the email; click it to confirm your account and voila! ZenMate has an eye for clean and straightforward interfaces. Their layout is neat and designed to get you where you need to go quickly. It tells you whether or not you’re protected by a VPN, lets you easily change your server, and displays how much data you’ve consumed, without needing to dig for these details. Users have the option the filter their server options or just freely scroll down through their list of 30 different servers. As we mentioned in the previous paragraph, their lack of Live Chat options is compensated by their two Knowledge bases, ZenMate Academy and ZenMate Support. ZenMate Academy lets users learn about the basic terms in the VPN industry such as hacking, encryption, and tutorials on how to unblock websites such as Youtube. ZenMate Support also provides information on getting started, usage, and basic troubleshooting of payments and the VPN for your devices. Despite the VPN’s compatibility with Netflix, they remain strict on torrenting and the same goes for P2P. You may only access torrents on Premium. So yes, go forth and torrent, but only as long as you’re paying them to do so. Again, there are many VPNs that don’t charge extra for torrenting, so it’s sad on their part. While the VPN allows Netflix and provides all the good protective stuff that comes with a VPN service, ZenMate is not the cheapest option. They’re definitely at the upper end of the scale, at $9.99 per month. As you’ll expect, it’s much cheaper to spring for the long-term plan, bringing the monthly price down to $5.99 – much more reasonable. That works out to a saving of 40% over the course of a year – nice. But let’s remember, at this price, there are more recognized VPN services like ExpressVPN. There’s also a 6-month plan that will score you 10% off, if dropping a whole year’s pricing is too much to stomach initially. For businesses looking to make use of their services, the price varies, as you need to contact ZenMate VPN for Business to get a quote. However, if you’re still undecided, you can take advantage of their free trial, netting you 7 days of use absolutely free of charge. ZenMate only uses 128-bit AES encryption through IPSec protocol on the browser. For the $9.99 that you pay every month, there are other VPNs of the same price that can offer you military-grade protection. The lower the grade encryption is, the more vulnerable a user is to a security breach. 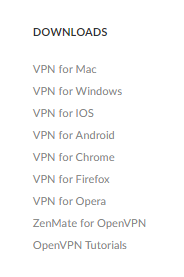 With other VPNs offering much higher grade protection and a variety of different options, we’re hard-pressed to recommend ZenMate for the browser. However, they use the standard 256-bit AES on desktop and mobile – at least those are secure. “Fast. Secure. Easy.” is their tagline. How true is that “fast” element? Well, to put it bluntly – they’re not bad speeds, but they don’t exactly fly either. Our speed without a VPN is 97 Mbps Up and 53 Mbps Down. We’ve tested VPNs who clocked significantly better speeds for half the price of ZenMate’s offering. If you’re happy to pay $9.99 a month for these speeds, you can certainly find other VPNs who provide faster speeds – much faster. Unfortunately, ZenMate does not have a live chat system, something we look for from a good VPN. 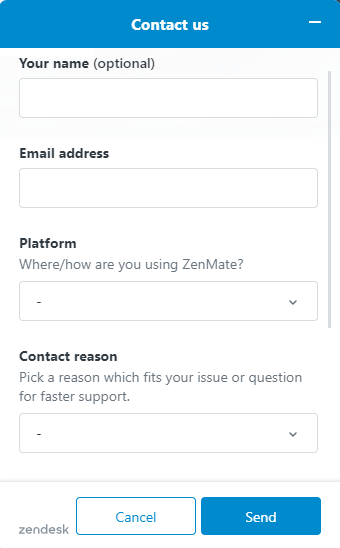 Instead, users can email them for inquiries outside of their comprehensive ZenMate Academy and ZenMate Support knowledge base. We like how expansive their support is, offering plenty of content to let users help themselves; but that support suffers as soon as it comes to live help. By registering on the website, the IP address given by the ISP and “any other similar data” during an attack are stored to make sure that their services aren’t misused. They open doors for criminal investigations when necessary. IP and DNS Leak Test: Detected DNS Leak! 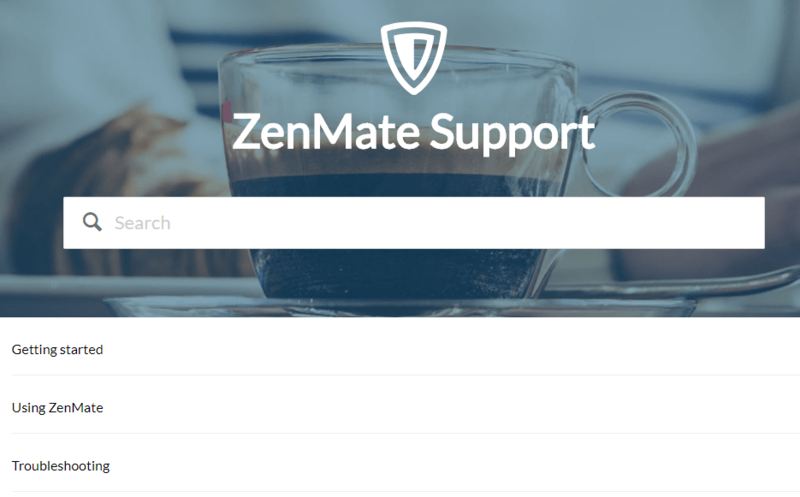 There have been some known leaks from users using ZenMate VPN; time to find out our own experience, to see how strong the service is, and whether those previous leaks were simply blips in an otherwise outstanding service. However, the same cannot be said for our DNS Leak Tests. Big red flag for those with privacy in mind. 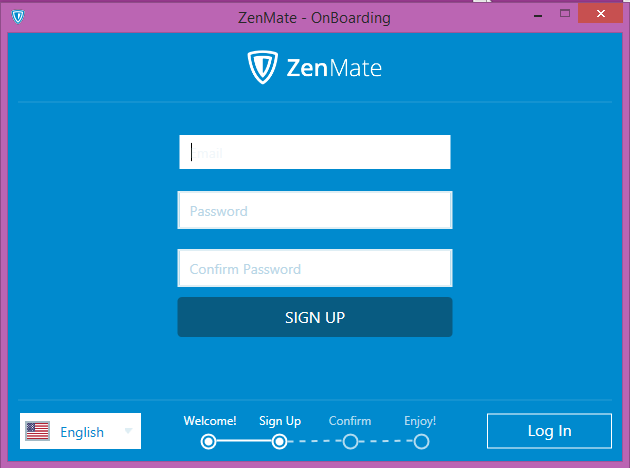 ZenMate launched in 2013 as a Google Chrome plugin under ZenGuard GmbH – a private company with around 11-50 employees. Currently, they offer native VPN clients for various operating systems. Since ZenMate is based in Germany, it should be known that Germany falls under the 14 Eyes alliance. Being a part of this multi-nation alliance may be reason enough for a user to worry about their data being collected and shared to the countries under this agreement. ZenMate is easy to use, and they offer a staggering array of servers. On certain servers, you can even get through to Netflix. That’s about where the good news ends, though. Considering what you can get for half that price elsewhere – it’s difficult to recommend ZenMate for privacy and security. If you’re happy with just getting some Netflix access with a neat product interface, this checks those boxes. If you want perfect privacy, look elsewhere – perhaps our top VPN list?